Businesses are always looking for new ways to reach their target audience online, especially through social media. Facebook has developed a new ad experience named “Canvas” as an answer to that demand. Canvas is “a new post-click, full-screen, immersive mobile ad experience on Facebook that loads nearly instantaneously”. This mobile ad is intended to allow businesses to tell their story or showcase product in more detail than traditional ad units. 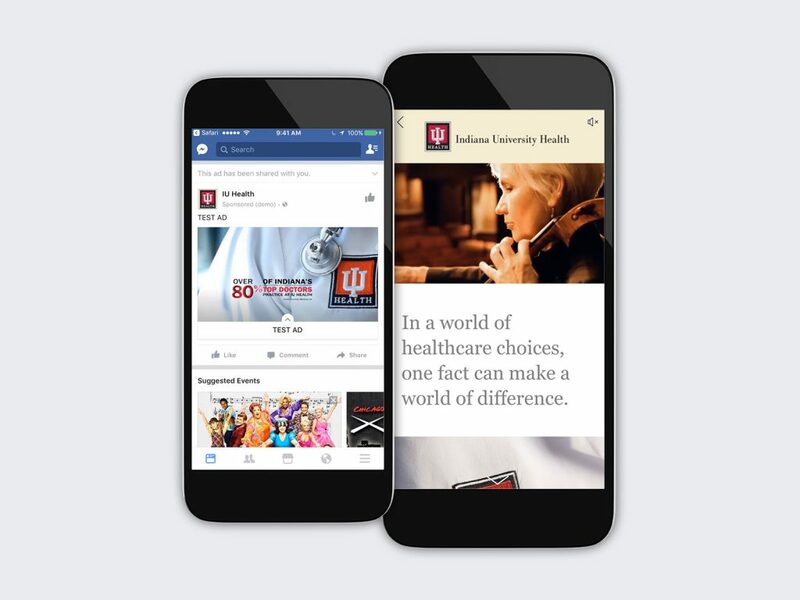 The Life Line service at Indiana University Health was the perfect service line to test this new ad offering. We felt the Canvas platform would allow us to tell the story of the Life Line program in an uncomplicated manor. The ad unit also showcased the visual elements beautifully in a mobile environment. The ad also added multiple ways for users to engage with it through, scrollable galleries, video, and multiple CTAs.